Roman blinds offer a luxurious and elegant look that is a perfect choice for heritage interiors as well as simple designs. With a vast selection of fabric and finishing styles, our roman blinds are guaranteed to suit every individual tastes and environment. Suitable to both classic and contemporary décor with a wide choice of finishing styles and a huge range of materials for you to choose from; add warmth, elegance and sophistication and luxurious feel to any environment. Perfect on its own in order to bring a softer look to your home but can also be coordinated with sheer curtains for multipurpose use and unique look. 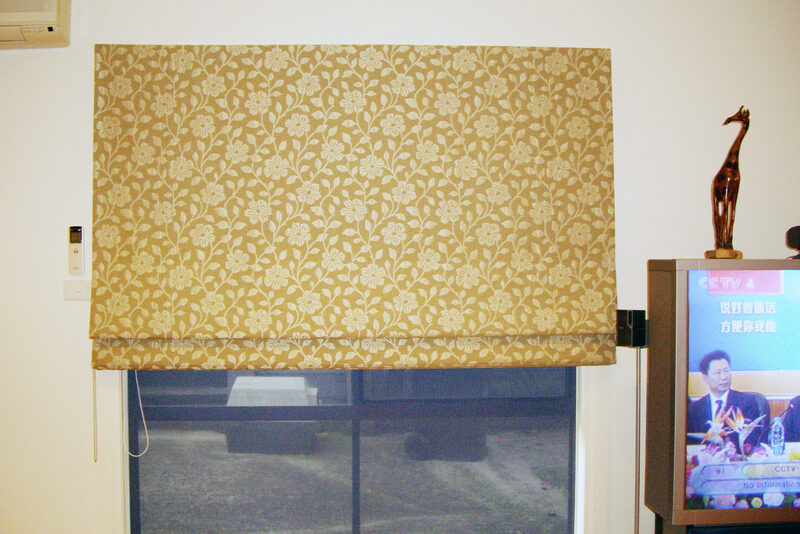 Provide a clear bright view when open and complete privacy when drawn. Great solution for window insulation and noise preventing. 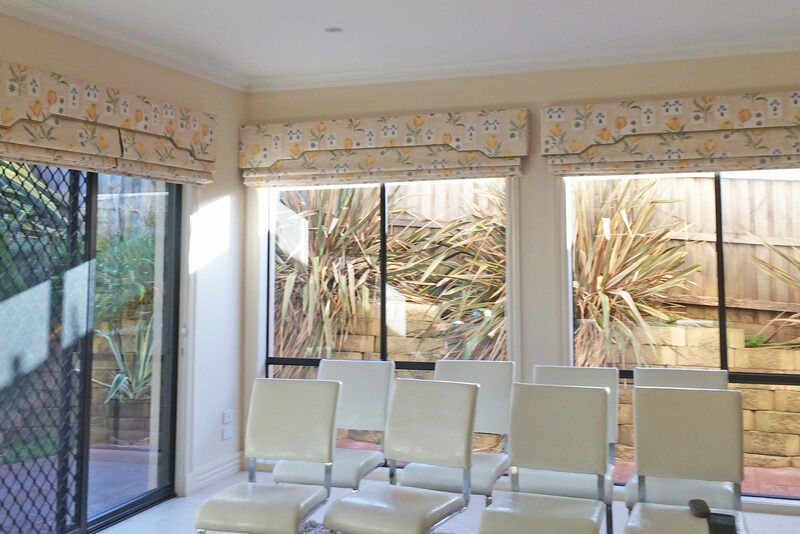 Pockets are placed at the rear of roman blinds sew in Back Batten with lining backing ensures all the seams and stitching are not visible, creates a clean and neat look which enhances your home décor with style and class. 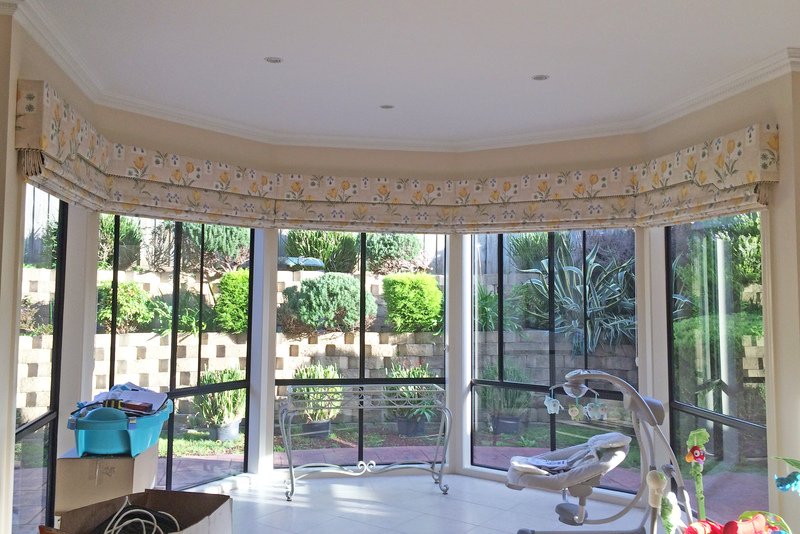 A choice of quality plastic lift rings or metal rings that ensure the blinds’ durability. Optional clear lacquered, stained or painted front timber battens to allow a whole new appearance to the classical roman blinds. Roman backing made from 3 pass suede lining fabric which is a high quality mixture of cotton and polyester. Sophisticated cord-lock operation with wall-mounted cleat as standard. Timber acorns are used as standard, with silver and brass acorns as optional. Control options are available in Cord System as standard, Heavy Duty Cord Lock, Chain Drive System with metal chain and aluminium head rails for greater convenience, and Motorisation, makes Roman blinds incredibly easy to operate. Child safety features as standard. High quality manufacturing process to ensure a straight and sharp side hem, no pin holes, stitching or puckering. 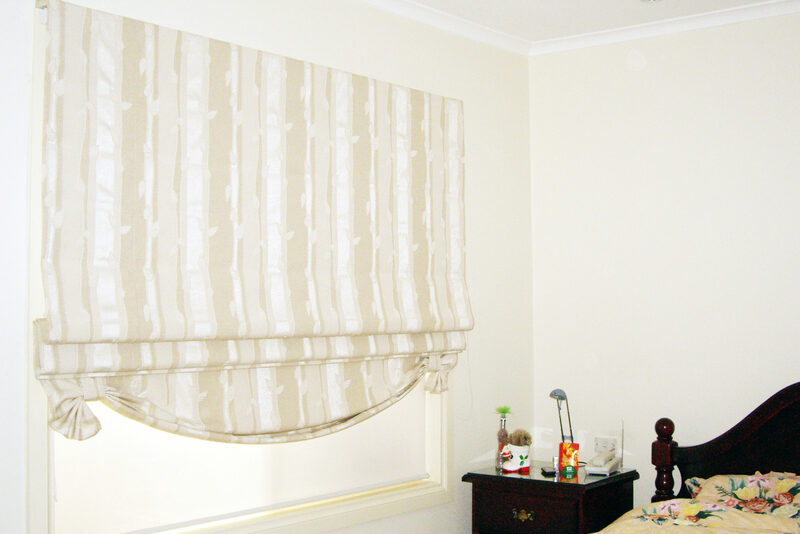 Scallop Base Roman Blinds is an added fancy finish, which enhances the look of the blind and your home with style and elegance. A vast range of shapes and styles are available and also a wide range of decorative trims such as fringes, flanges, cords, beads, piping, box pleat, scallop, and guttering frill can be used to accommodate any tastes. 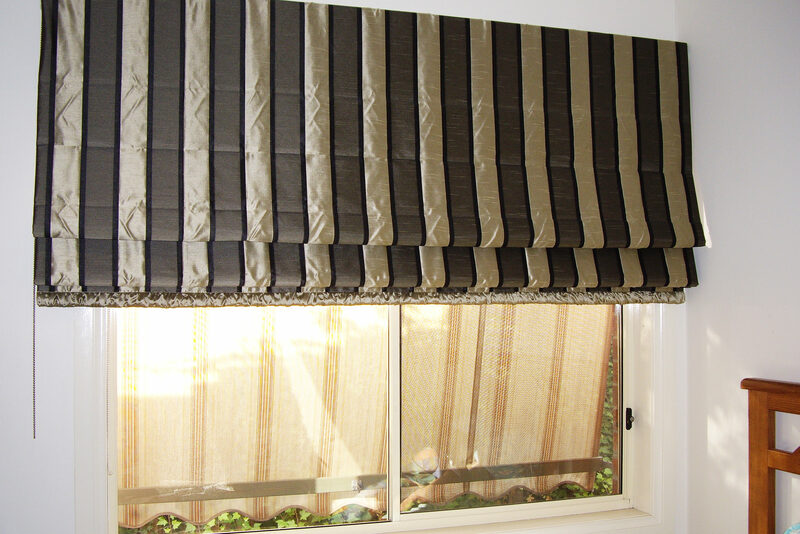 Swag Base Roman Blinds allow an elegant yet classical finish to any roman.